There must be zero tolerance for mob rule, intimidation of speakers, and intimidation of political minorities among students as well as faculty members. Of all the ideas percolating on college campuses these days, the most dangerous one might be that speech is sometimes violence. We’re not talking about verbal threats of violence, which are used to coerce and intimidate, and which are illegal and not protected by the First Amendment. We’re talking about speech that is deemed by members of an identity group to be critical of the group, or speech that is otherwise upsetting to members of the group. This is the kind of speech that many students today refer to as a form of violence. If Milo Yiannopoulos speaks on the University of California, Berkeley, campus, is that an act of violence? Recently, the psychologist Lisa Feldman Barrett, a highly respected emotion researcher at Northeastern University, published an essay in The New York Times titled, “When is speech violence?” She offered support from neuroscience and health-psychology research for students who want to use the word “violence” in this expansive way. The essay made two points that we think are valid and important, but it drew two inferences from those points that we think are invalid. First valid point: Chronic stress can cause physical damage. Feldman Barrett cited research on the ways that chronic (not short-term) stressors “can make you sick, alter your brain—even kill neurons—and shorten your life.” The research here is indeed clear. Read full article as published by The Atlantic. 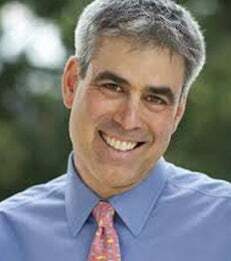 Jonathan Haidt is the Thomas Cooley Professor of Ethical Leadership.